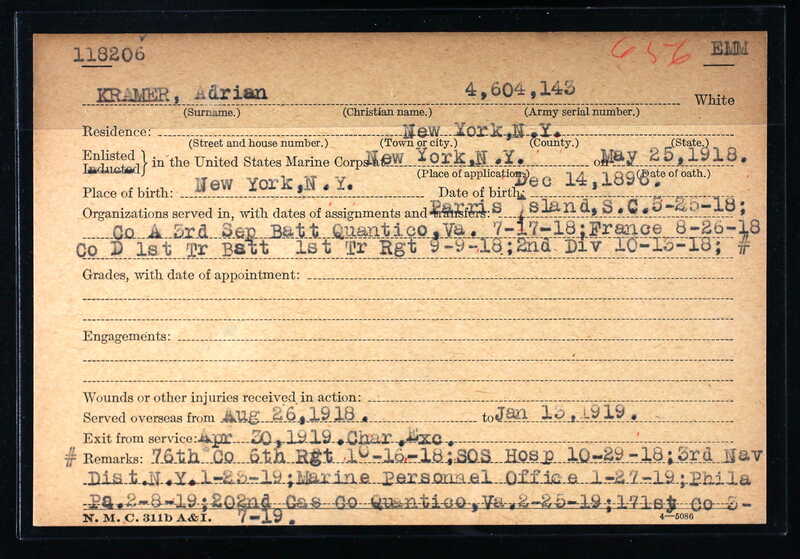 This entry was posted in Genealogy, Goldschmidt/Goldsmith, New York and tagged ancestry.com, genealogy, kramer, New York City, root to tip by Amy. Bookmark the permalink. No idea why you couldn’t locate the record but thrilled for the help given by Alex @ Root to Tip. The reminder from your post on the inconsistencies of facts & dates on the census records and name changes and misspellings really helped confirm for me the path I am on with my research. I never remember to use the Historical Newspaper from the card catalog or FindMyPast – great post and update Amy! Thanks, Sharon. Twice in two weeks I have had the experience of not finding something on a general search that showed up for someone else using the same parameters. Using the Card Catalog is great—but no one can search each database individually! The general search engine should work more effectively. I wonder why she totally changed her son’s name. And what happened to her husband? Always more questions. Well, she obviously went back to her birth name and wanted her son’s name to match hers. And my guess is Adrian was a less Jewish version of Abraham? 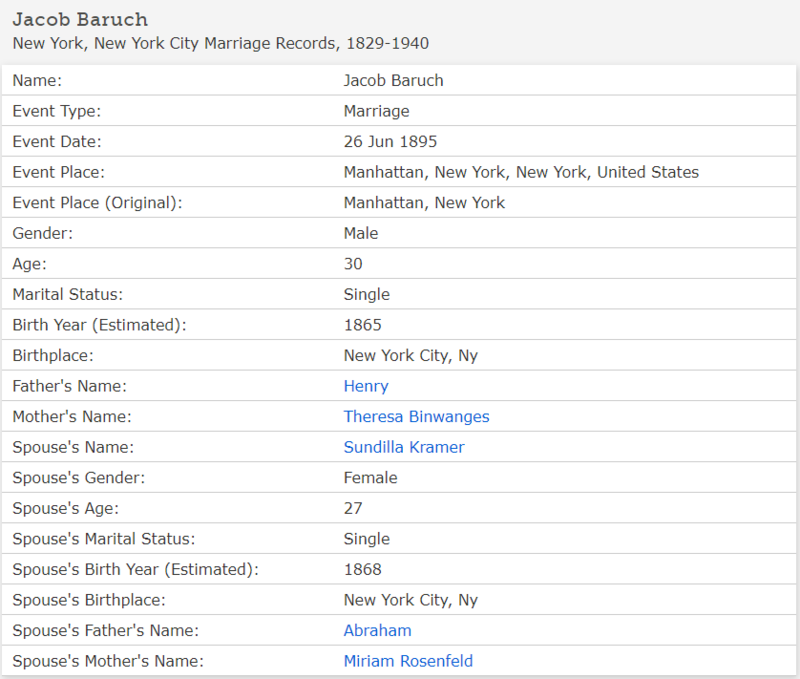 As for Jacob Baruch, I am not sure, but I believe I found him as a lodger in NYC on the 1910 census and that he died in 1934. But I am not 100% sure it’s the same man. I didn’t pursue it since he was just the ex-husband of the mother of the man who married my cousin! Yes. I know he is distant. But in my roaming mind, I think wow divorce in those days was so unusual. And to change the child’s name and delete the father was quite drastic. My curiosity is unleashed. That is my biggest issue with researching. I go more for the stories. My sister is the better researcher. I did spend time looking for Jacob Baruch, but after an hour of finding nothing definitive, I decided to climb out of the rabbit hole and write a post to thank Alex! Now that I’ve done that maybe I will jump back in the hole. I hate unfinished stories also! I thought Alex’s comment was awesome when I saw it at the end f the post. I have heard many people are having problems with searches on Ancestry due to some change they made. Wonderful of you to feature Alex’s help in this post. How could I not! She saved the day. 🙂 And yes, I am pursuing this with Ancestry, though their customer service reps seem trained to say that they’ve never heard of this problem before. Alex too. Another riddle solved. Hi Shirley—It is good to know it’s not just me. I am hoping that someone from Ancestry will see my post and answer my question better than their customer service people could. (I posted the blog in the Ancestry group on Facebook.) I will let you know. Why ancestry’s search engine did not produce the same result that Alex had will most likely be forever a mystery for us. The only one who could solve the riddle is ancestry.com, IF they are open to respond to enquiries. I found it also thrilling that there are people out there like Alex who are willing to get involved in helping you with your family research, Amy. The genealogy community is made up of the nicest and most generous people I’ve ever encountered, Peter. I do my best to pay it forward because I can’t tell you how many times people have helped me. Alex is extraordinary! And I am working on this with Ancestry—so far, no answers. That is so strange. I would have expected search results to be search results no matter what your subscription is – in fact you would think that Ancestry would encourage people to see that there are other records out there but you may just not have the subscription to view the actual record. But I have the All Access Worldwide membership like Amy, but I find it so odd that it would work differently. I would have also. What possible justification could there be for giving different search results depending on where a subscriber lives? I will follow up next week and report back. How cool that Alex was able to help (she is a superstar, and has been a source of advice to me too). This certainly opens a can of worms as regards Ancestry; I’m fascinated to know what their response will be. I will be sure to report back. I have alerted Crista Cowan to the problem, and she thought it was strange also. Supposedly she is checking into it. What amazing sleuthing! And thank you for the tip about searching for death notices. I’m working on a brick wall regarding the death of my great-great-grandmother Fanny Spielmann, and maybe that might help. I have the same subscription level that you do. I hope you have better luck! Thanks, Leslie! Special hat tip to Alex for the wonderful support in bringing the pieces together. That 1900 census enumerator was really asleep at the wheel! It underscores how we have to play with all of the possible variations during our searches. I’m eager to hear what Ancestry has to say about the search question. It seems odd that the UK site would have a different search computation yielding different results. Yes, Alex was amazing! And that enumerator was terrible. I will update once I hear more from Ancestry. I will follow up this week if I don’t hear anything. There are Jewish roots in my husband’s family too, on his mother’s side. The Braun and Weibe families had left Russia during the persecution there. They were given land in Germany for a time, but were eventually evicted from Germany too. 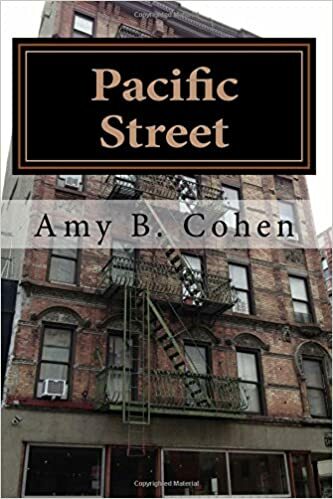 Finding their way to Canada, they had to settle the best they could without land that time, so the head of household sold real-estate while also working in a bank. He died pretty early, so the three children took jobs wherever they could. Eva Braun (Imagine that name coming out of Germany!) married a Sorenson, now Johnson, who was of Danish ancestry. A long beautiful story is now put together by my son-in-law using Ancestry.com. All of our families have wonderful stories. That’s what makes genealogy and family history to rewarding. Thanks for reading and sharing your story! Love this! Those darn tricksy censuses–I’ve lost track of how many times I’ve found them to be misleading. LOL! Yes, it’s always interesting when I am working with someone new to genealogy who insists that because the census spelled a name a certain way or gave a specific date of birth or immigration, it must be true. I once thought that also! At this point I see the census as a good jumping off point, but I almost _never_ trust it. 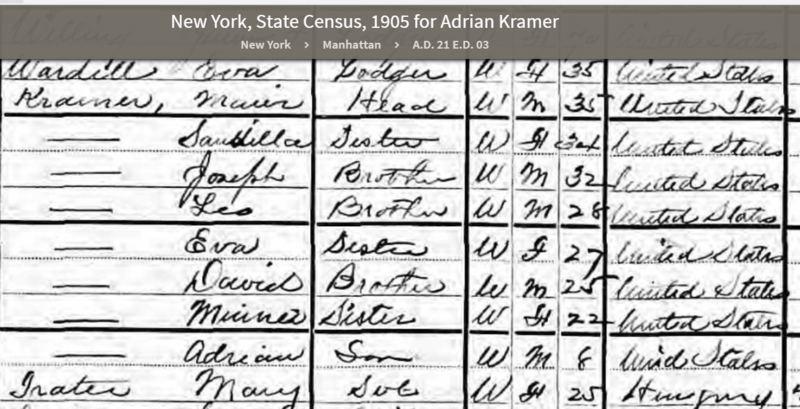 Although I did get lucky in one case: in 1880, great-great-great granddpappy-in-law _was_ the census taker, so the evidence about his family in that year is much easier to evaluate than would usually be the case. Well, we don’t want to embarrass our ancestors too much! Wow, what a great ride you’ve had. It certainly does take a village – glad Alex was there to help! So am I! Thanks, Debi. With the assistance of friends! Fascinating! I have nothing to add except to say, believe me, UK Ancestry is fallible too. That reminds me—I still haven’t heard back from Ancestry. For those who are waiting for some feedback on why Ancestry US generates different results from those generated by Ancestry UK, I just received this update from Crista Cowan at Ancestry: We have verified that different results are being returned because different search algorithms are being used on the two sites. I am working with the team to determine how to adjust them appropriately.